I am pleased to say that p&p on most books on this page are heavily subsidised. For instance, postage alone on 'Echoes of a Savage Land' to the USA costs 11.65 euro. To add this to the cost of the book would make it prohibitively expensive, hence the reduction! What the critics say: “The Co. Sligo author Joe Mc Gowan is best known as a chronicler of his home place, as folklorist and local historian, especially of Inishmurray Island, that fascinating Atlantic island of pre-history. Over the years he has produced several books in this genre but for the first time he now publishes a collection of fiction and reminiscence, a challenge to his talents. 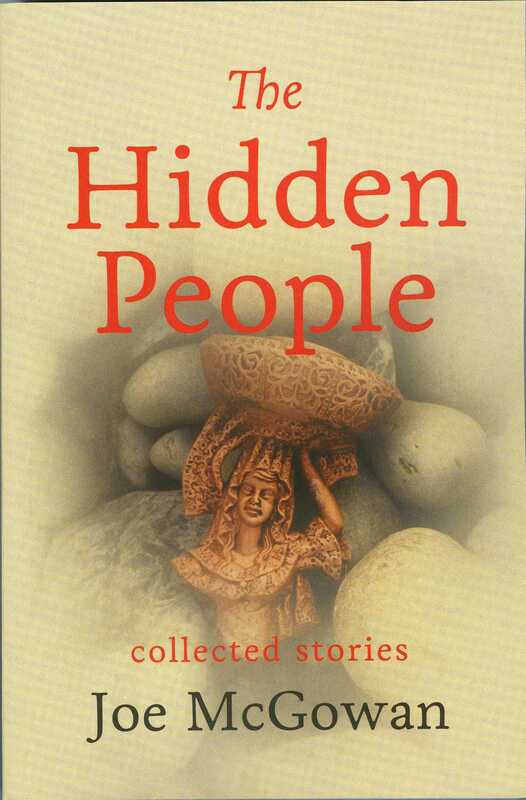 On reading The Hidden People I thought of an old colleague, the late Con Houlihan, but this is, of course, different. By times Con set out to paint on a vast canvas of mostly sporting events, yet Mc Gowan’s book is also about country people, in fact and fiction, with memories of a lifestyle that has gone forever, a novelty to a new generation, but a reminder to others of what life on a small farm was really about. This book takes us on a journey into the secret heart of Irish country life in the 20th century. Beginning with an account of the villagers’ death-defying efforts to recover wreckage from an unforgiving ocean, A Bitter Wind is an intriguing ramble through an Ireland that no longer exists. Unfolded here are the beliefs of ordinary people, their superstitions, customs, fears and joys, their struggle to extract a living from the ruthless extremes of Nature on land, sea and shore. Here we re-live the adventures of ordinary individuals who, in snatching a livelihood from the elements, lived extraordinary lives. 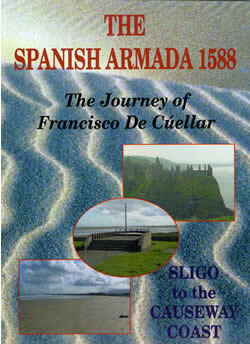 This book details the history, and folklore, of Co. Sligo with particular reference to North Sligo . It covers the period from the first Neolithic settlements to 1798 through the War of Independence to the assassination of Lord Louis Mountbatten off the Mullaghmore coast in 1979. For those doing genealogical research tracts of the Griffiths Valuation are reproduced. This book traces Constance Markievicz’s journey from a pampered childhood in a Sligo landlord’s mansion to her participation in Ireland ’s literary and political Renaissance. The little-known story of her daughter Maeve and her son in law, Stanislaw, is told here. Paintings by Constance, produced while in solitary confinement in Holloway Jail, are reproduced in this book for the first time ever. Her meeting and marriage to the aristocratic Count Dunin Markievicz at art school in Paris is detailed also. 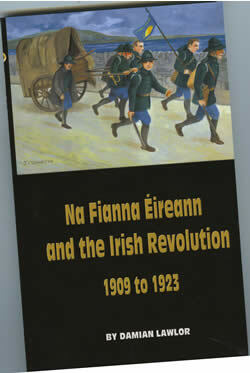 It describes how on their return to Dublin she threw her lot in with the poor, running soup kitchens during the workers strikes and Dublin Lockout of 1913. Her political awakening led to her championing women’s rights and her eventual command of a company of Irish Citizen Army during the Easter Rebellion. Sentenced to death and incarcerated in a British prison, she became, not just the first woman ever elected to the British Parliament, but as Minister for Labour, the first woman Cabinet Minister in Europe . The story of her heroic endurance during several prison terms and her correspondence with her sister Eva is also here. This is the perfect companion for an understanding of the island’s early Christian monuments, rivalled only by those on Sceilg Michael. But it is more than that. 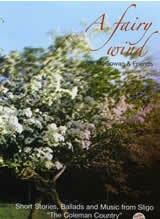 This book is a familiar ramble through a cherished place bringing life to an ancient monastery and a disappearing era. Here we learn of holy men and marauding Danes; vengeful statues and disappearing islands; Cursing Stones and Mystic Fires; of cures customs, poteen and peelers. Aeolus Publications, 200 pages plus 16 page full colour section. Beginning with rituals observed on the Celtic festival of Samhain (“Oul’ Hallow-eve”), Joe Mc Gowan tells with love and humour the story of the life led by the common people, the customs they practised and the stories they told, not alone in the heartland’s of Donegal, Sligo, Fermanagh and Leitrim, but throughout Ireland. Long hours of recorded conversations augmented by meticulous archival research casts new light on ancient traditions and beliefs. The watercolours, inspired by scenes from all over the town and county, are by Anne Osborne, a Sligonian and self taught artist whose passion for watercolours has found expression in her soft, subtle impressions of mountain, plain and sea. Anne spent a number of years living in Conemara where her work in the arts expressed itself in Celtic decoration and graphic design. In this CD, a talented and unique group of storytellers, ballad singers and musicians, some well known, some not, have come together to relive the atmosphere of an evening by the fireside at the ceilidhe house of old. For variety and originality nothing remotely like this has ever been recorded. The artists represent the heart of Ireland, a rich weave of all that is best in song, ballad and story of the Coleman Country and the Irish countryside. With a generous eighteen tracks (70 mins.) this CD is excellent value at €10.00 (Post & packing free) See contents below. (1) Story: "Matchmaking: Fortune or Misfortune?" (2) Oisín Mac Diarmada (fiddle) Reels: John McKenna's, The Happy Days of Youth, Lucky in Love. (3) Story: "A Farewell to Crickets"
(4) Breda McDermott, Deirdre Cox, Assumpta Kelly, Marie Murray (vocal) Ballad: The Nightingale. 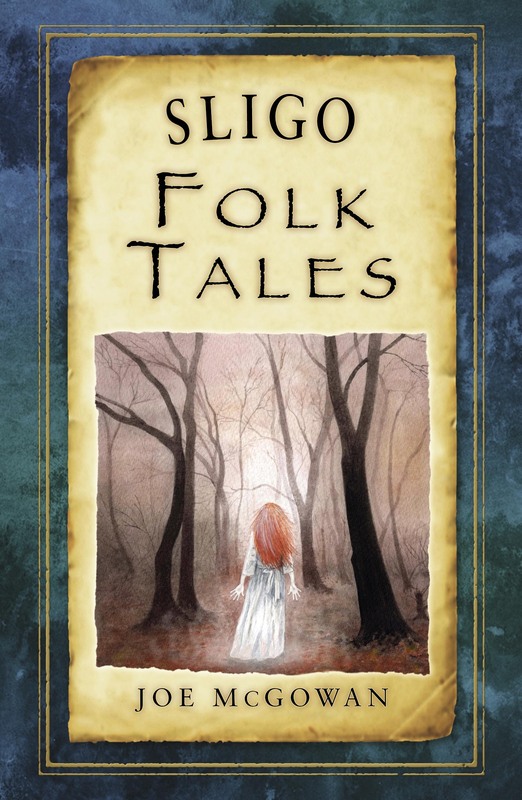 (5) Story: "A Visit from the Sidhe." Reels: Maids of Mt. Kisco, Come West Along the Road, Humours of Tulla. (8) Seamus Tansey (flute) Reels: The Haymaker, The Maid behind the Barrel. (9) Story: "The Easter Collection"
(12) P.J. & Domhnaill Hernon (accordion and fiddle) Reels: Jenny Pickin' Cockles, The Floating Crowbar (Rathcroghan Reel), The Colliers. (13) Story: "The Widows Curse"
All stories told by Joe Mc Gowan, your web host. 64 pages with colour illustrations.